Change the default home page of your browser to a English news site - The Local, Germany's news in English. Visit English websites with a business focus such as British Council's Learn English or Breaking News English. Complete an online course at – BBC's Talking Business. Learn by listening, for example, on the way to work in your car or on the train. At BBC's Six Minute English or Business Spotlight Podcasts you can download MP3 files for free and use them on your MP3 player, iphone or audio CD's. Subscribe to English magazines. Business Spotlight is one of the most recommended magazines to learn Business English and is suitable for beginners. Read English novels. Pearson Longmann offers English language books which have been adapted for specific levels and are designed for readers who want to learn English without sacrificing the fun of reading. Learn some of the differences between British & American English. 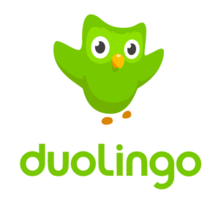 Duolingo is great for beginners and has easy translation plus speaking components. Dict.cc is my favourite online and offline dictionary for the web or mobiles etc. Statistsa has a lot of interesting English info graphics you can use to spice up meetings and discussions in English or to get your point across much easier. Visit BBE's social networks and follow us on LinkedIn. Download a copy of BBE's English Tense Chart to map out how English works.